Fed s Stealth Tightening: Unintended Consequences for Stocks ? forecast their impact for the Financials Markets. ​Reserves are also a must follow that very few​​​​ of us do. ​money supply). Central banks tend to focus on one “policy rate”—generally a short-term, often overnight, rate that banks charge one another to borrow funds. When the central bank puts money into the system by buying or borrowing securities, colloquially called loosening policy, the rate declines. It usually rises when the central bank tightens by soaking up reserves. The central bank expects that changes in the policy rate will feed through to all the other interest rates that are relevant in the economy. All those factors made the Growth in the ​​St.-Louis Monetary Base tremendous since the financial crisis in 2007. 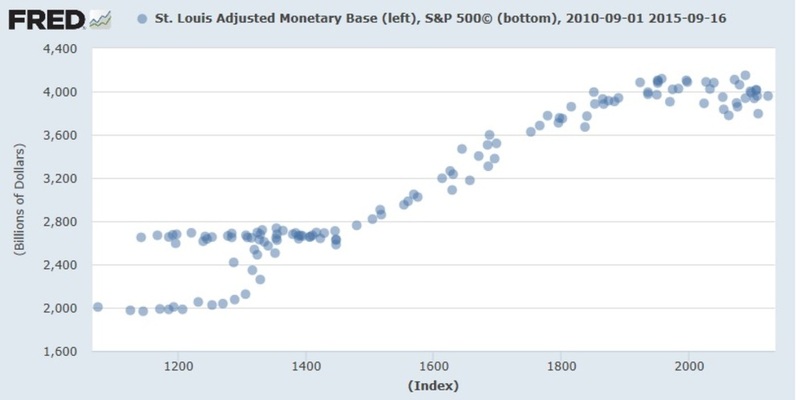 But the most surprising, is the fact that the financial assets, like the SP500 behave now depending on the growth of the monetary base as shown by the chart below. 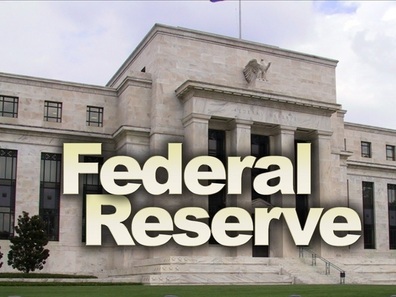 One of the first direct result of the quantitative easing (QE) programs of the FED was lowering rates of bonds. The other Major consequence of those QE was to cheapen the US Dollar against most of their trading partners til the Technical Break Out in September 2014 as shown by the chart below. But US Dollar strentghening tremendously since 2014 and corporates bonds rates started to rise​​ is changing the financial behavior in US stocks and a new trend is emerging from thoses factors and very few did notice. So the first factor is that Buybacks having less and less impact on the overall maket trend. In fact, Corporations that Buybacks their shares started to underperform the whole market since April 2015. Few did noticed also that we already peaked in terms of Global valuation​​ for US equities as shown by the chart below. What I mean is that taking the SP500 Index but seen in Global currencies to take into account the valuation of Foreign Investors ( SP500 times the US Weighted US Dollar Index ). It did not break the Support Trendline yet as the Buybacks Ratio. 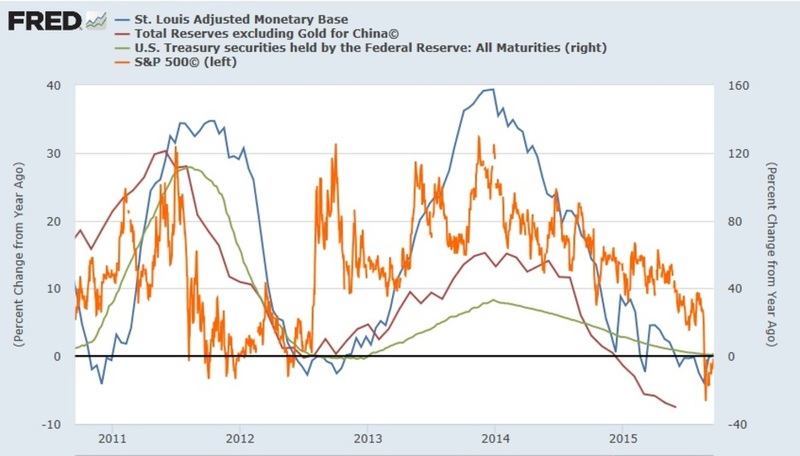 The end of QE3 ​​( quantitative easing programs of the FED ) in October 2014 ( so end of Fed injecting cash into the system ) have bring a US Dollar skyrocketing ( Technical Break Out in September 2014 ), Commodity prices collapsing ( CRB index peaked in August 2014 ) and began the Major Deleveraging process from Emeging markets ( EEM ETF peaked in September 2014 ). That FED Stealth Tightening process will have a bigger impact than in the past becuase the tremendous amount previously injected is unprecedent and as more debt and more leveraging than in 2007​​. and US Dollar Index at level not seen since 2003.